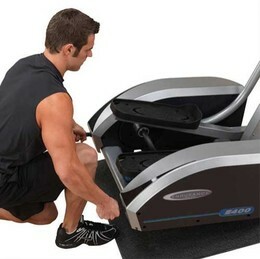 Endurance E400 Elliptical Cross Trainer is a patented center drive design elliptical. It has best stability and easy to set up. It has features like close pedal spacing, adjustable stride, include handles and is a superb space saver. ToughTrain 3.0 out of 5 Have average features but still can be a smart choice at this price. EllipticalReviews.net 3 out of 5 This is a noticeable step up from the E300. If adjustable pedals and special heart-rate programs are important to you, then the E400 may be worth the extra investment..
*Note: Most of the sites, stores or shopping portals listed above sell Endurance E400 Elliptical Cross Trainer with discounts and other exciting offers. There is a possibility that the some of above websites are not selling Endurance E400 Elliptical Cross Trainer now. Toughtrain.com is not liable for such cases or instances. Also we do not recommend any seller for Endurance E400 Elliptical Cross Trainer and a buyer should buy from where he/she gets best deal with quality of products, service and on time delivery (shipment).